This hair brush was SUPER fast at heating up as I am a VERY IMPATIENT person lol especially when I'm in a rush which is usually ALWAYS. I don't recommend using the heat higher than 350 for damage to normal hair. This Brush heated up and allowed me to straighten Anna's hair and do this demo all inside of like 10 minutes. So if I weren't recording and explaining it would have taken all of 5 minutes. I TOTALLY RECOMMEND this brush for ANYONE!!! Even for people who have straight hair but don't have body or sheen because this brush will give that to you. For people that like more volume at the root by brushing more so in the middle and ends if hair and u will get that gradual look of many volumes while having straight hair. For people that want poker straight hair but don't have time to use a lot of product or use more than 1 tool at a time. This brush is the 1 and the ONLY tool you will need to achieve the look you're going for. Not to mention it's COMPLETELY AFFORDABLE!!! You can find this brush on Amazon and if you're a prime member you will get it in 2 days or the next day depending on where you live. 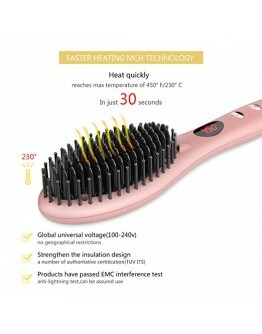 Ionic Hair Straightener Brush, GLAMFIELDS Electrical Heated Irons Hair Straightening with Faster Heating, MCH Ceramic Technology, Auto Temperature Lock, Anti Scald, Heat Resistant Glove (Black-01) https://www.amazon.com/dp/B071HFQGJX/... The regular hair brush I'm using in this video I got from Sally's Beauty and I also RECOMMEND that brush for what I call "Nappy Hair" lol. My daughter (age 9) has long wavy hair and it gets EXTREMELY NAPPY and she is EXTREMELY TENDER headed but I'm able to brush her hair out with VERY MINIMAL complaining!!! I'll try to find the link if they still carry them because I did buy this a LONG LONG time ago lol haha. I just boil them when they start to look not so nice, haha and that cleans them like new. Super excited to bring this tutorial to you guys!!! If you are searching for a budget-friendly facial brush cleanser and massager I think I have a coin friendly one that might just work for you! 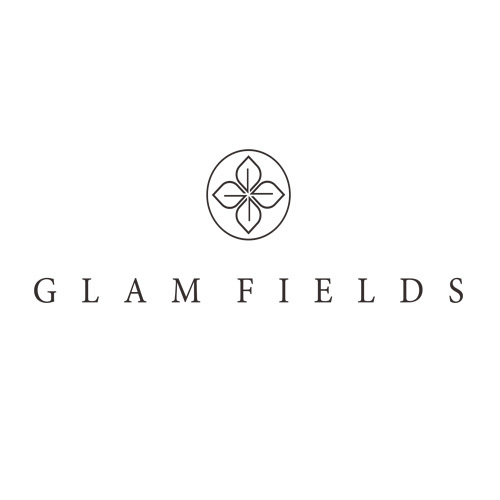 Today I am testing the Glamfields facial brush massager that was sent to me by the company to review. All my opinions and thoughts about this product are 100% TRUE and REAL!!! This facial massager can be found on Amazon and I will link the information down below with the direct link. I hope you guys enjoy this tutorial XOXO!